Recording Tips: What Every Artist Needs To Know! These time tested techniques are the keys to maximizing the recording and mixing process. Take time to read them, then contact us at 252-636-0936 to get started! Some studios want you to be unprepared so they can take advantage of you. Here, we want you to have a pleasant and productive recording session. 3) Using a computer or sequencer? Prepare all sequenced material before the session. 4) If you are using a click track, make sure your drummer is comfortable playing to it. Remember Practice makes perfect! 5) Rehearse more songs than you plan to record. You never know which songs will sound best on the final cut. 6) Take care of your body. before and during your recording sessions. Eat well, get enough sleep, and keep our ears rested and clear. 7) Be early. at some studios the clock starts whether you're there or not. Find out about their cancellation policy as well. 8) Make the studio a comfortable and relaxed place. If you don't, it will show in your finished product. 9) Make sure you and the engineer have the same vision - go over your songs with him/her before recording. Before booking studio time, ask to hear other material the engineer recorded. 10) Find out your studio's track capability and plan out how you will leave essential parts. This should simplify the mix and eliminate the need for bouncing tracks later. 11) Use new strings, cords, drum sticks, and heads - and bring spares! 13) Don't use new gear or equipment that you haven't used before, even if it sounds better than yours. Surprises can lead to low productivity. 14) It's emotion and feeling that makes a great song, not the engineers technical expertise. 15) If you mess up a part while recording, do not stop and start over. Instead check to see if the engineer can punch in the correction. 16) You don't have to fill all the tracks on the tape - Don't try to force something that won't fit. 17) Always keep in mnd the focus of your music. If it's the vocals, plan to spend the most time on them. Don't waste time on things that don't highlight the focal point. 18) Get the sound you want while recording. Never assume you can fix it in the mix. 19) Unless you have unique effects, record individual tracks clean and add effects later. 20) Don't necessarily double track everything. 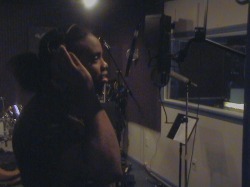 Doubling a lead vocal can hide all the sudleties that make a song personable and likable. It can work for the chorus. 21) Know when to quit for the day. If you are tired, it will show. 23) Make back up copies after every recording session. 25) Singers: always bring water but don't use ice. Ice will constrict your vocal chords. Hot tea with lemon and honey works well to relax your vocal chords. 26) Always get a track listing and accurate time from the studio. 27) Listen to your music at a moderate level in your car or boom box. This is how most your fans will listen to it, and mixing at loud levels will fatigue your ears and distort the true sound. 28) Sometimes it's good to take a day off and come back to listen. The same applies to mixdown. Ears don't last very long in the studio. 29) As you review each mix, make sure you can comfortably hear all the instruments. Tweak the mix on a small pair of of speakers at an extremely low volume. 30) Know when to quit for the day. You're better off quitting a session early when you're tired than wasting time making a bad mx that will have to be done anyway. 31) Listen in the studio to CDs you're used to hearing on your home stereo to get an idea of how the studio's system sounds. 32) Determine a band spokesperson ahead of time. An engineer getting five different opinions my cause him/her to rush through the job. 33) Once you have selected an engineer to to mix your recording, have them do the first mix. Their ears are better trained than yours. Try to keep an open mind. 34) Think about the songs as a whole and not just the indivual instruments. Otherwise everyone will want their instruments louder in the mix. 35) If mixing somewhere other than the recording studio, make sure you use the same speakers. If not, the mix will sound completely different. 36) Decide which format you want the finished product to be on. Use the format that is most practical and economic for you. 37) Count on and budget in unforseen delays.